Hiking trails that range from easy to difficult. 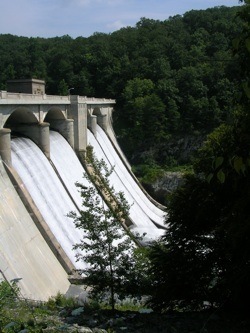 The reservoir offers largemouth and smallmouth bass, crappie, sunfish, perch, and carp. Nice day to explore the beauty of nature. It is so quiet and peaceful out there. It was easy vto walk down to the waterside. Beautiful area in all four seasons. Great fishing, hiking, dog walking one of three Baltimore City Water Supply Reservoirs. Parking area near Dam.